Uthirakosamangai is a Shaiva temple situated near Ramanathapuram in the Ramanathapuram district of Tamil Nadu. The temple is believed to be built by the Pandya kings, Achutappa Nayak (1529–1542 BCE. ), a Hindu ruler of Thanjavur, Muthuveerappar and other kings of Ramanthapuram district Sethupathy dynasty at various times. The temple has been glorified by the hymns of 9th-century saint Manickavasagar and 15th-century saint Arunagirinathar. The temple is considered sacred along the lines of Ramanathapuram, Sethu Madhava Theertham and Lakshmana Theertham. The temple has numerous shrines, with those of Mangalanathar, Mangalambigai and Natarajar being the most prominent. 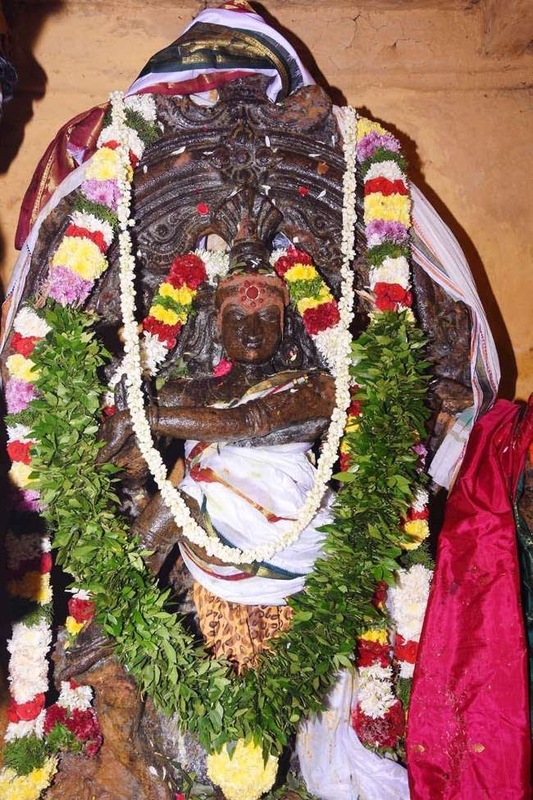 The temple houses a 6 ft (1.8 m) tall ancient maragatha Nataraja idol carved out of emerald, being the one of its kind. Thiru Uthirakosamangai is a renowned Shiva temple believed to exist from 3000 years ago. 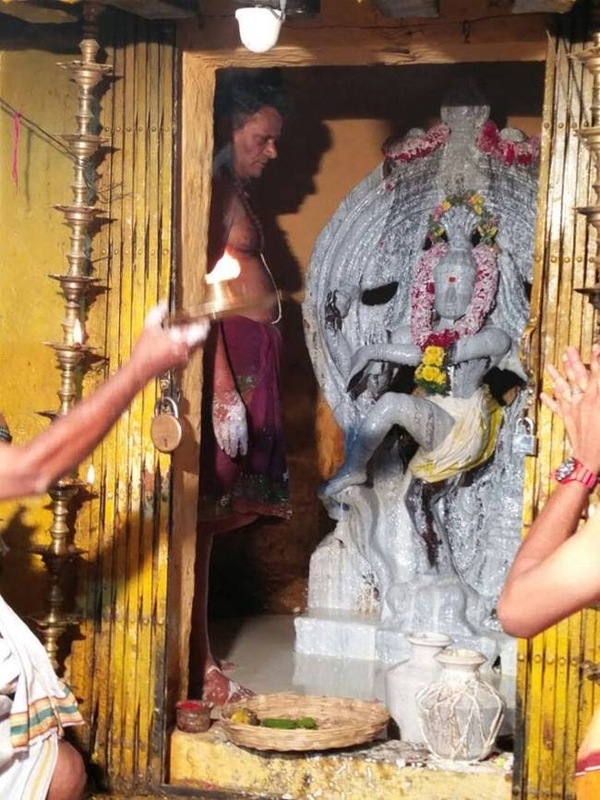 The presiding deity Managalanathar is believed to have preached the meanings of Vedas and other auspicious secrets of Hinduisms to His consort Managalambigai at this holy place. The temple and its glory are found to be mentioned in various literatures and Saivaite canons. Apart from the antiquity of this temple and its specialities, yet another most significant aspect of this temple is the Lord Nataraja idol. Lord Nataraja is considered to be the dancing form of Lord Shiva. The unbelievable fact about this idol is that Lord Nataraja stands as a six feet tall statue carved out of a single emerald stone. Dating back to around three thousand years, the source and means for such a precious statue are still a mystery. Lord Nataraja is covered with sandal paste throughout the year as Emerald has the scientific property of its molecules getting disturbed when exposed to light and water. Once a year, on the day of Thriuvadhirai Star during the Tamil month Margazhi, Lord Nataraja can be worshipped without the sandal paste. Day long rituals and anointing with different aromatic materials are carried out on this auspicious day and this special dharshan is called Arudhra Dharshan. Thousands of devotees throng the temple on this sacred day to worship the Emerald Nataraja and seek His blessings. Uthira Kosa Mangai is a tiny hamlet, famous for the Siva temple considered to be 3000 years old. This is the place where Siva transferred the secrets of Vedas to Parvati. Uthiram means (updesham) kosam (secrets) Parvati (Mangai) hence this place is known as Uthira Kosa Mangai. The main attraction in this temple is the 6 feet Natarajar carved in emerald, perhaps one of its kind in the world. This Natarajar is covered in sandal paste for 364 days of the year as even small vibrations are believed to damage this delicate structure. Hence no percussion instruments like Thavil are played near this shrine. 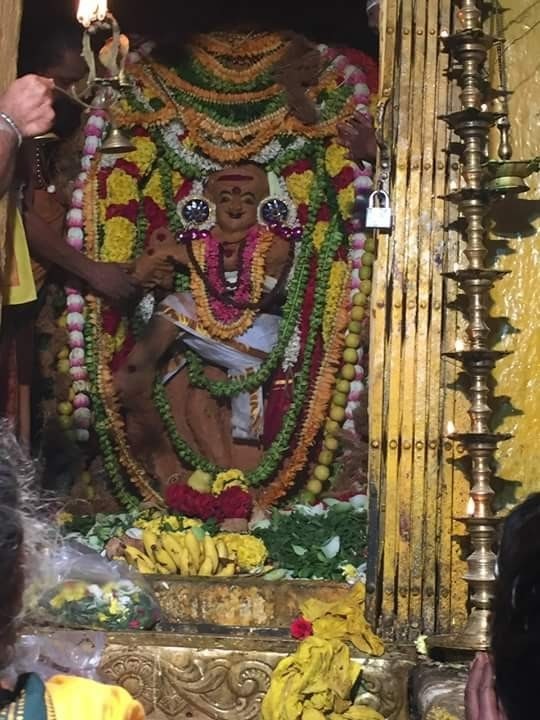 Only on the day of Arudra Darsanam ( Thiruvadirai festival in Tamilnadu ) in the Tamil month of Margazhi (Dec-Jan), this sandal cover is removed and the Lord gives Darshan after abhishekam. For this rare event, people come different parts of the country. The temple is located 32 km East from Paramakkudi and 10 km west from Ramanathapuram. 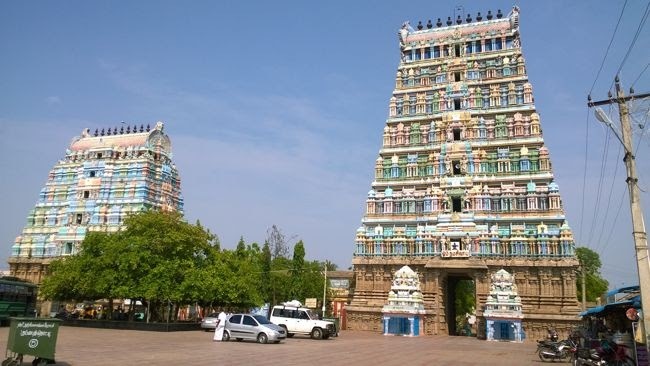 The temple has a seven-tiered rajagopuram (gateway tower). The temple has numerous shrines, with those of Mangalanathar, Mangalambigai and Natarajar being the most prominent. Uthirakosamangai is located in Ramanathapuram district located 17 km away from district capital Ramanathapuram. If you are planning to reach Uthirakosamangai by bus you can get buses from Ramanathapuram New Bus stand. The Mofussil buses going to Mudukulathoor, Sayalgudi, Aruppukkottai, Kamuthi, Thiruchendur, and Town buses (Bus No: 24, 6B, 1A, 14) are connecting this holy place to District capital. Pin Code : 623 533.